Do you have a question about hearing loss or hearing aids? I will be glad to answer your questions and address your concerns. As a result, you may become more effective in choosing and working with a hearing professional and experience greater satisfaction with the results. • What you should expect from your hearing professional? • When should you see an ENT first– when is it not necessary? • How often should you buy hearing aids? • What is the best hearing aid? 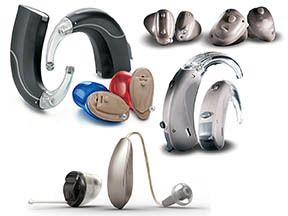 • Who are the best hearing aid manufacturers? This is just a partial list. Feel free to address anything with me concerning hearing loss and hearing instruments. All material on this website is Copyright © 2013, Hearing Aid Services of Hollywood. All rights reserved. No portion of this blog may be reproduced or transmitted, in any form or by any means (including e-mail or fax), without written permission from Jeff Grama, MA. Advice provided on this blog does not constitute any contract or guarantee. Information on this site, as well as questions and our responses, are based on our professional opinion. We are not responsible for the services delivered or the outcome received from other hearing professionals.